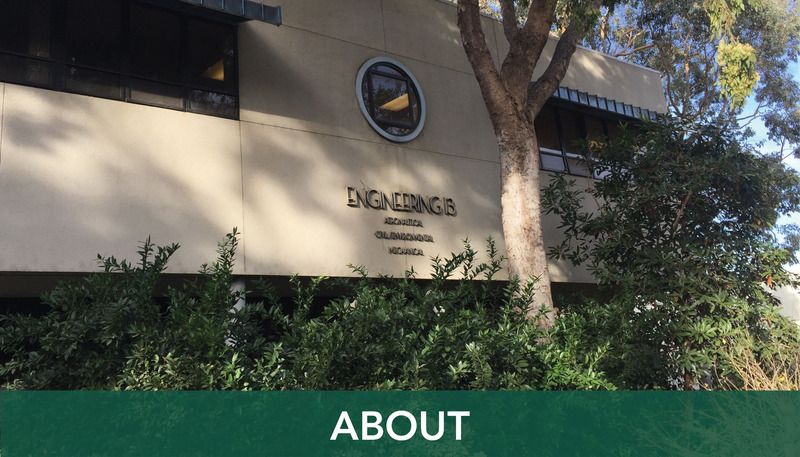 The Civil and Environmental Engineering Department was officially formed in 1981, though transportation and environmental engineering degree programs had been in place at Cal Poly for some time. Since its inception, the department has continued to grow. Currently, there are approximately 650 undergraduate students enrolled in the Civil Engineering Degree Program. Approximately 200 undergraduates are currently enrolled in the Environmental Engineering Degree Program. In addition, the department supports about 50 graduate students who are working toward Master of Science (M.S.) degrees. Both the Civil and Environmental Engineering Programs are accredited by the Engineering Accreditation Commission of ABET. The programs stress teamwork, communication, problem-solving, and state-of-the-practice analysis and design techniques. Each program is laboratory intensive, with hands-on student learning stressed in support of the University's "learn by doing" motto. Our faculty is comprised of more than 20 tenured and tenure-track faculty with extensive academic and professional qualifications. These full-time faculty are supported by over 20 full and part-time lecturers, most of whom practice engineering in the local community. Feel free to contact us for more information. You can also request information about Cal Poly via the Admissions website.